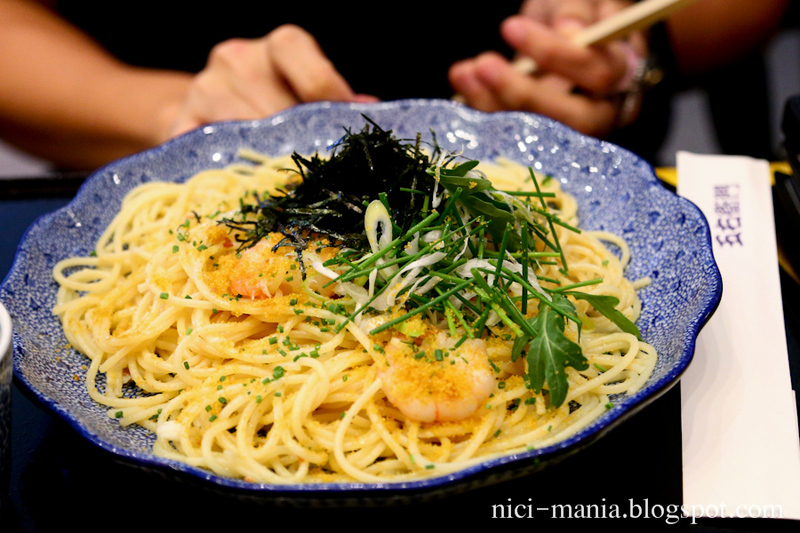 Hugo Wolf visits Goemon Singapore to try the famed Japanese style pasta. 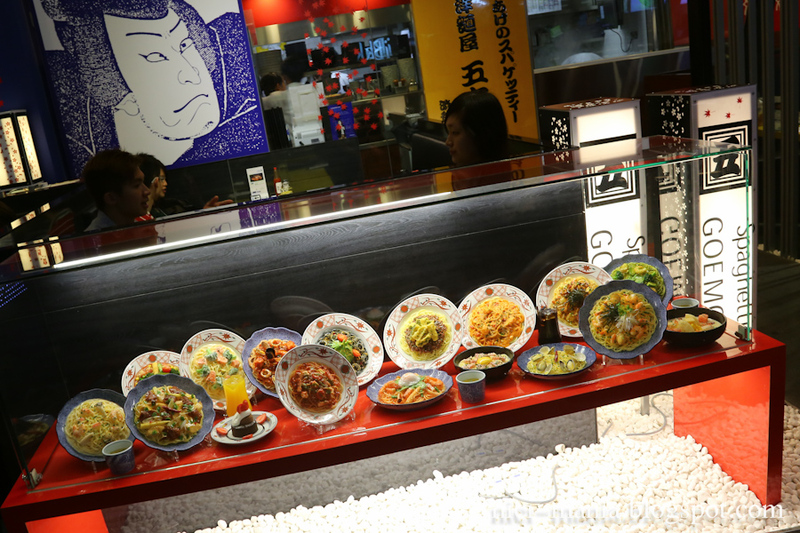 Yomenya Goemon literally means "Japanese Spaghetti house". 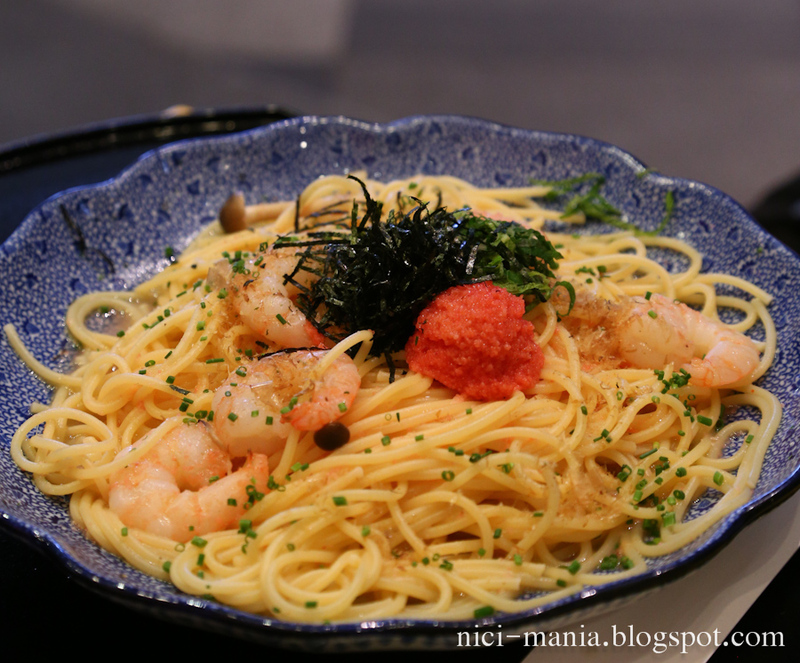 Shown in pic: "Hokkaido Cream Soup Spaghetti with cheese cream, scallop, corn & potato"
Yomenya Goemon has a wide variety of japanese spaghetti to choose from. 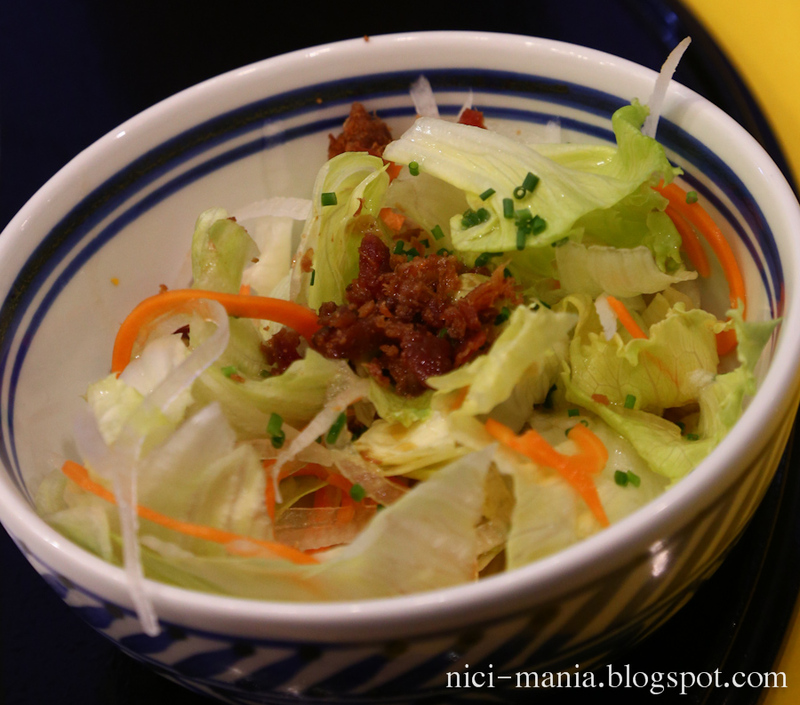 Little Hugo Wolf ordered the spaghetti set menu that comes with a drink and salad. 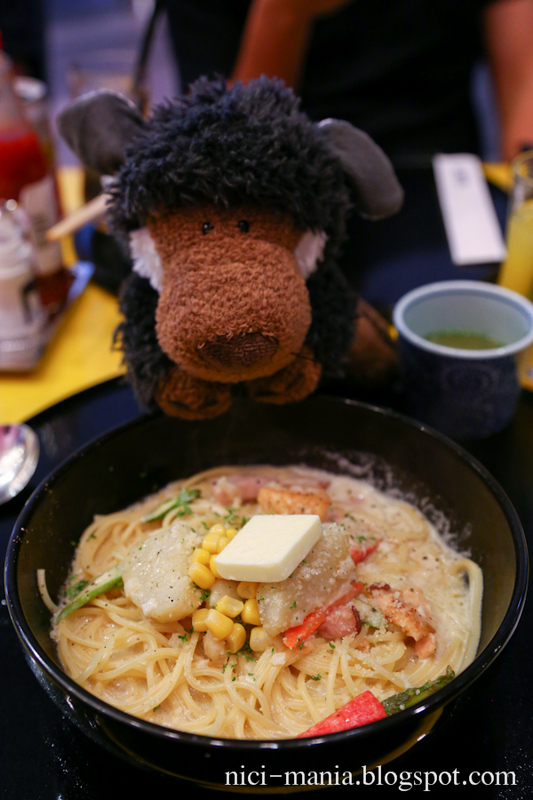 As shown in the first picture, Hugo Wolf is having the Hokkaido Cream Soup pasta. 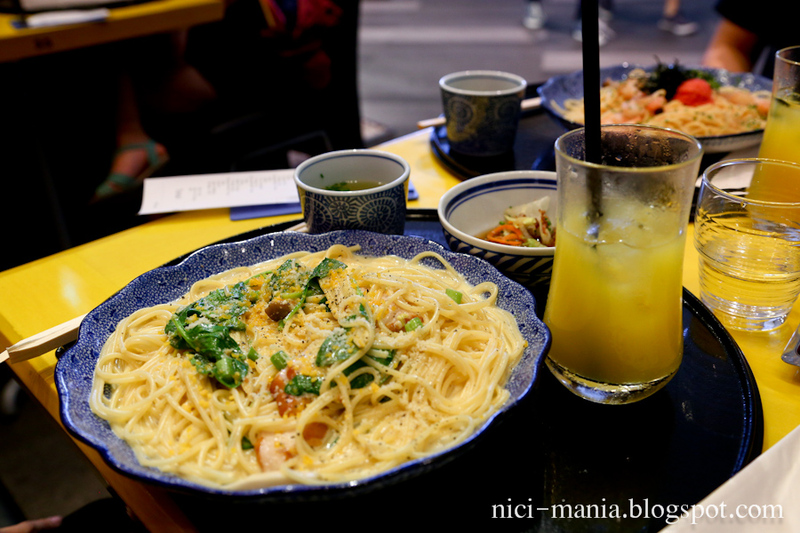 Do note the serving at Yomenya Goemon is extra large! 2 person can share one set of the spaghetti. Look who came by while we were eating halfway. 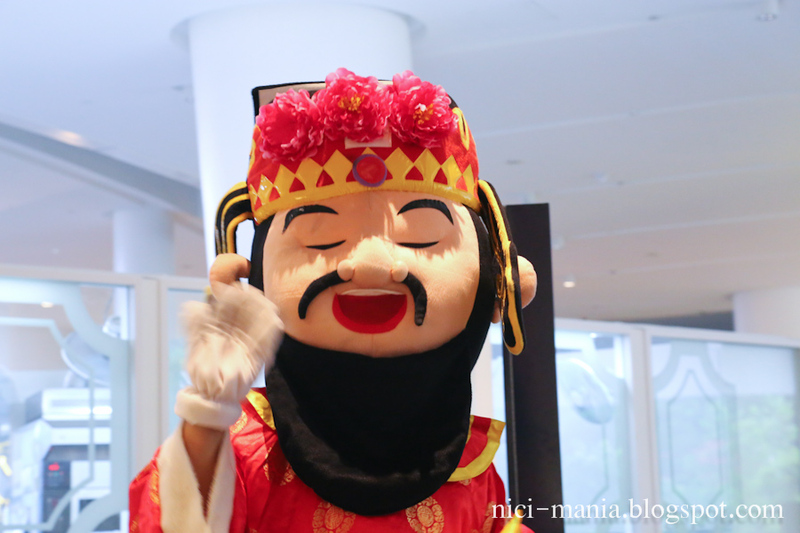 The 'God of Fortune'! 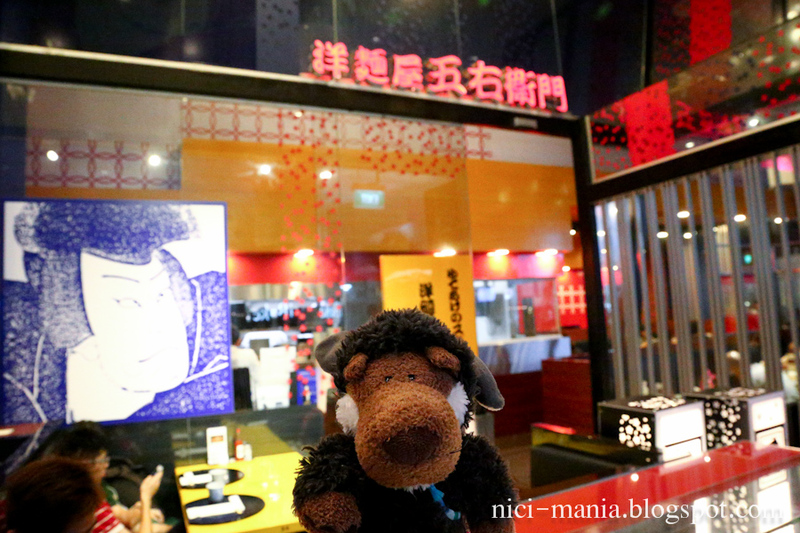 It was chinese new year week at the Yomenya Goemon Star Vista outlet. How delicious! I always get hungry haha. looks so yummy! How can mini Hugo fit all those pasta in his tummy???? 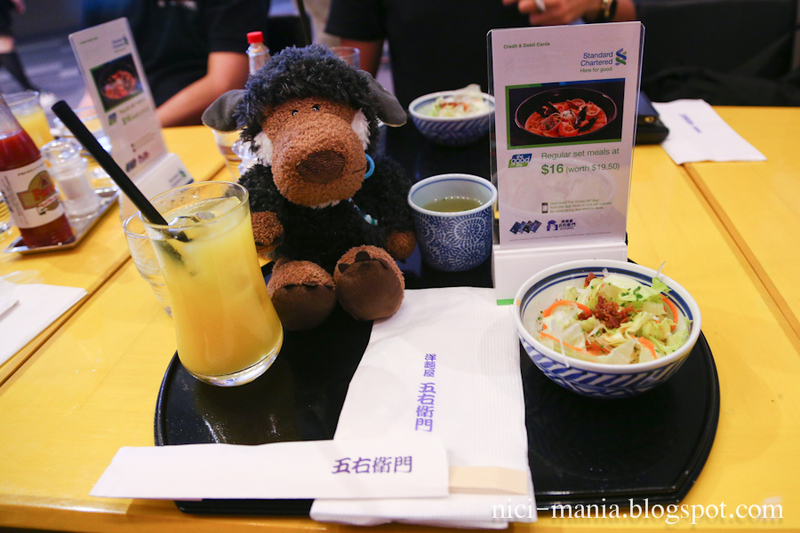 I should've read your food review before going to Spore..